We all know how difficult it is to stick to a meal plan. However, when you use the meal delivery services of Home Chef, you are assured of restaurant quality food at affordable prices. Today, nobody has the time and the patience to cook at home.When you chose Home Chef meal delivery service, you can the option of cooking amazing meals in a jiffy. To find out how Home Chef plans can make your cooking experience more enjoyable, read below. Joining Home Chef food delivery is pretty easy. Just fill a simple form and you are ready to receive their meal kit. Of course, once you create your account, you get the option of selecting your favorite recipe. When selecting the recipe of your choice, you can choose from 11 fresh recipes for a vegetarian diet, normal diet, and several other options. 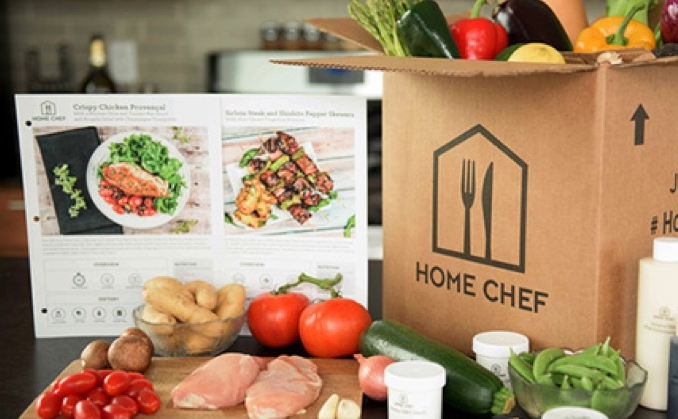 Once you select the recipes of your choice,the Home Chef meal service box will be delivered to your place in no time. The box will contain the ingredients of the recipe and an easy-to-follow card that will have all the details of the recipe. What Should You Expect From Home Chef Meal Plans? When you create your account with Home Chef, you will be provided with a list of specialty dishes that their chefs have created and mastered. You can browse through the dishes and select the ones that you like. From Spicy Apple-Glazed Pork Tenderloin to Sirloin Steak to Firecracker Shrimp, Home Chef offers a wide range of dishes to satisfy your taste buds. Some of the add-ons include the Seasonal Fruit Basket and Hawaii Smoothie to ensure that you get your 5 dishes every day! Another benefit of choosing Home Chef is that they set their menu at least one month in advance; this enables you to select your meal with ease. This makes Home Chef not only affordable but also extremely easy-to-use. When you use the services of Home Chef, you get the option of choosing from a wide variety of dishes. When you select a recipe, you will be given all ingredient required to make the dish and an easy to follow recipe. All ingredients are sourced locally from the trusted suppliers of the company. This makes preparing meals far easier than traditional meal preparation. Even though they have a wide variety of meal options to choose form,they have limited options when it comes to special dishes. This can make it difficult to choose your meal if you are on a special diet. Apart from this minor drawback, there is nothing you can complaint about, as they offer several options for people looking for vegan options. Also, you can find several options when you are looking for nut-free and soy-free recipes. When you place an order with Home Chef, you will have to pay $9.95 per serving. You have the option of choosing 2, 4, or 6 servings. At Home Chef, they carefully select the ingredients and they make sure that you get fresh and high-quality ingredients. When you visit their website, you will find that they offer a featured lunch option. This option is usually priced at $7.99 per serving. This is an ideal option for those who want to enjoy tasty meals without burning a hole in their pocket. They also offer additional options such as 1 smoothie for $4.95 per serving or a fruit basket for $4.95 per serving. Unlike other meal prep companies, Home Chef does not charge you for deliveries. The only catch here is that your premade meal orders should be over $45. If your fresh meals delivered order is less than $45, you will have to shell out $10 for shipping to get prepared meals delivered to your door. If for some reason you are not at home to receive your delivery, your order will be left at secure location with no signature required. Currently, the company delivers ingredients and recipes to more than 98 percent of locations in the US. To check if they deliver to your area, just visit their website and enter your zipcode when you sign up with them. If they don’t service your area, they will not accept any payment from you. Home Chef continues to grow every day and if your location is not serviced by them, check after a few weeks. It is likely that they service your area in the near future and you can enjoy tasty and nutritious food. 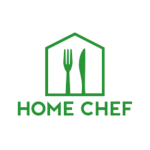 The Home Chef website has all the information you need about the company and their healthy meals delivered meal plans. You should visit their FAQ section, as it has answers to almost all questions you may have about their meal delivery plans.If you are still not satisfied with what you find on their website, you could call them or send them a mail. Home Chef meal prep services is one of the best meal delivery service as it is the perfection option for those who love eating delicious meals without working too hard for it, who doesn’t love dinner delivered. Their prices are reasonable and most of their recipes take less than 30-minutes to cook. They offer a wide variety of home delivery meals menu options which will never leave you disappointed. However,it would be nice if they can offer more healthy food delivery options for vegans, vegetarians, keto, paleo and pescatarians.